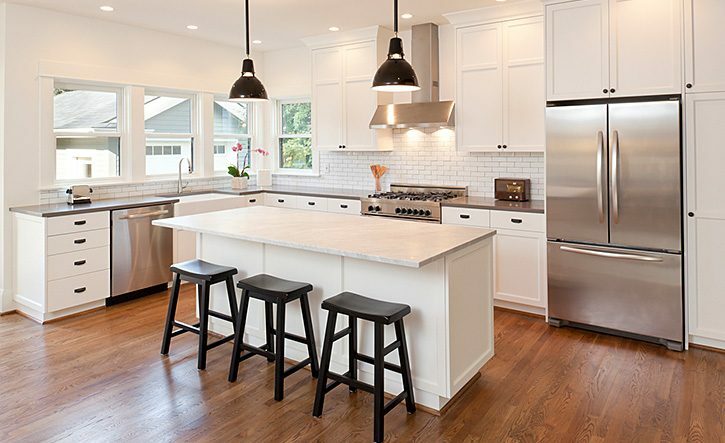 An Essential Kitchen Renovation Checklist | renoWOW! Decide What You Want – The first step is to determine what you are looking for from the renovation. You may need more space in your kitchen or want to update the aesthetics to make it more stylish. You may also want to update your layout to include an island. When you’ve got everything figured out, you’ll have a better idea of cost and a timeline. Choose A Design and Aesthetic – When renovating your kitchen, choosing how you want it to look is an important component. If you’re aiming for a modern kitchen, metallic appliances and glossy countertops help bring that look to the room. Marble counters bring an expensive finish to the kitchen, and hardwood creates a vintage aesthetic. Explore your options and decide which is best for you. Select Your Wall and Floor Tiles – Adding tile to your kitchen can add character and texture. It’s also easy to clean, so consider placing it in areas where food may splash up such as behind the stove. Wood-effect tiles bring a nice look to the floor while still being easy to take care of. 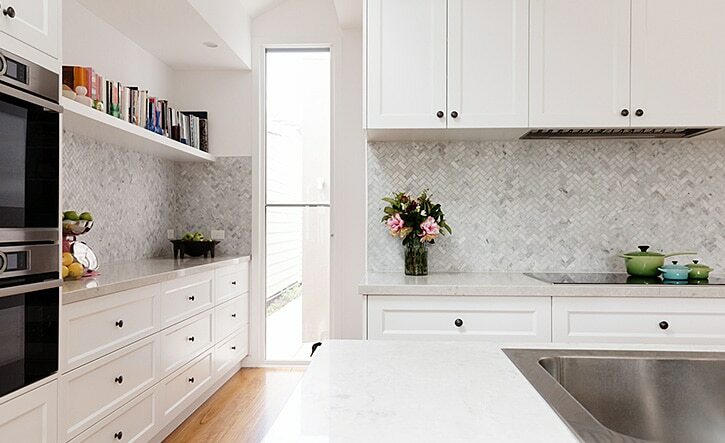 Be Aware of Your Budget – You may be set on one idea for your kitchen, but with all the additional requirements, changes, and modifications, the budget may not allow for it. In these circumstances, selecting materials that look similar but have a lower cost may be a good solution. Choose the Right Lighting – Be sure to choose the right type of lighting to match the overall kitchen design. Stainless steel pendant lights will suit a modern kitchen but may seem out of place in a vintage design, while pot lights can suit every design. 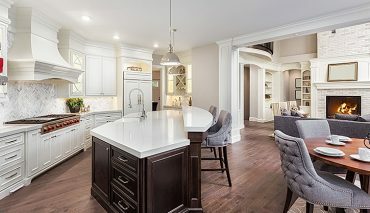 Consider Some Unique Features – Your kitchen is your space, and you can customize it with a variety of features to suit your needs. There are many options such as wine coolers, smart fridges, instant boil taps, and multiple other options designed to make your time in the kitchen more efficient and enjoyable. Get the Right Team – Contact renoWOW! The skilled team at renoWOW! can have your renovation done on time, to your specifications, and up to industry standards. Call renoWOW! 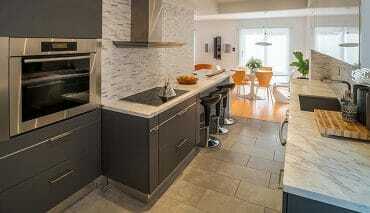 at 416-937-0969 or contact us for information about our kitchen renovation services. We are available to provide free in-home consultations and estimates for your home renovation projects.